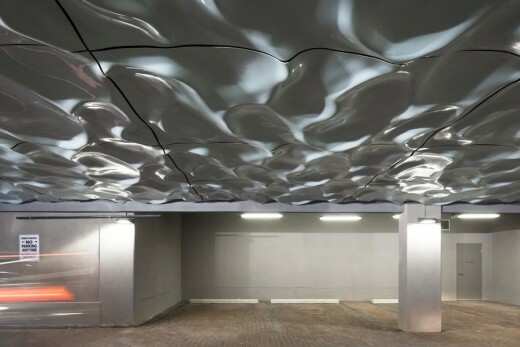 The sculpture Wavelengths captures the dynamic surface of a lake and transforms a public passage into a phenomenal experience. 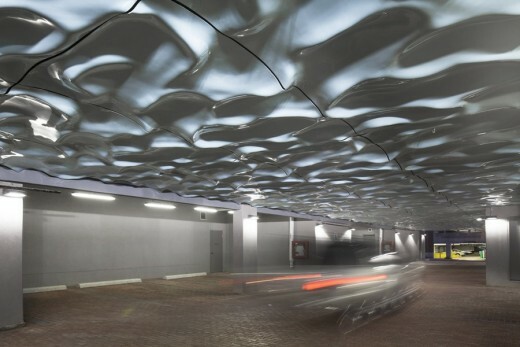 Wavelengths is suspended overhead in the vehicular and pedestrian passage of Market Wharf condominium, from Market Street to Jarvis Street, south of historic St. Lawrence Market. Until about ninety years ago, Lake Ontario rolled over the site of Market Wharf. 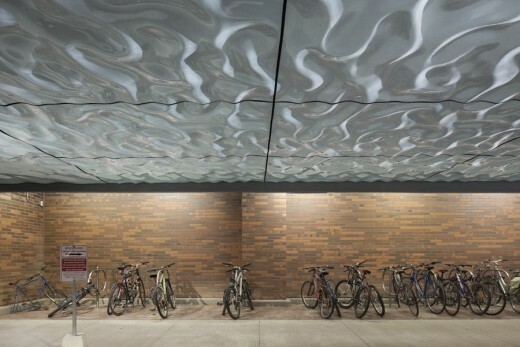 At approximately the level of the ceiling of the new public passageway, the lake’s surface glittered and heaved for many millennia, fascinating with its universally appealing beauty. 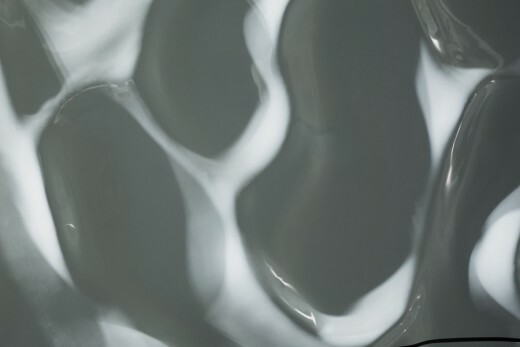 Imagine seeing the lake’s surface frozen in static, sculptural form. Imagine walking underneath and experiencing it. Wavelengths provides this experience. 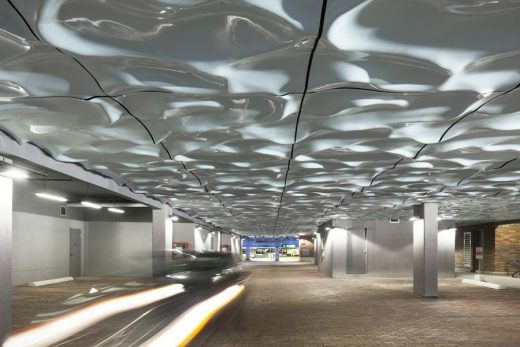 The artwork consists of one hundred and six 6’ x 10’ custom fire-retardant fiberglass panels on a steel frame structure, forming the ceiling of the passageway. 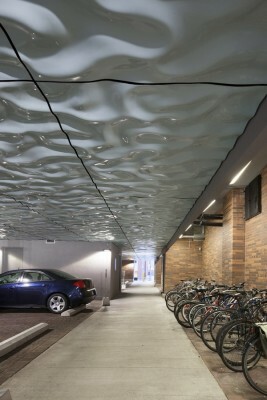 The artwork varies in wave patterns from calm and smooth to windy and turbulent. With the dynamic luminosity and form of the lake’s surface, this iconic connection links the present to the past. Wavelengths transcends the mundane to a rapture of light, colour, and vitality to the passageway.